Purpose: Poly(l-glutamic acid)-paclitaxel (PG-TXL) is a water-soluble paclitaxel (TXL) conjugate made by conjugating TXL to poly(l-glutamic acid) via ester bonds. In preclinical studies, PG-TXL has shown significant antitumor activity against a variety of solid tumors. To elucidate the relationship between tissue distribution and antitumor efficacy of PG-TXL, we studied and compared the biodistribution of PG-TXL and TXL. Methods: Female C3Hf/Kam mice bearing syngeneic ovarian OCa-1 tumors were injected with either [3H]TXL or PG-[3H]TXL at an equivalent TXL dose of 20 mg/kg. Mice were killed at various times after drug injection, and samples of blood, spleen, liver, kidney, lung, heart, muscle, brain, fat, and tumor were removed and the radioactivity counted. In addition, concentrations of free [3H]TXL released from PG-[3H]TXL in the spleen, liver, kidney, and tumor were analyzed by using high-performance liquid chromatography (HPLC). Whole-body autoradiographs of mice killed 1 day and 6 days after administration of PG-[3H]TXL were obtained to study the intratumoral distribution of PG-TXL. Results: When [3H]TXL was conjugated to polymer, the biodistribution pattern of PG-[3H]TXL differed from that of [3H]TXL. Based on area under the tissue concentration-time curve (AUC) values, tumor exposure to [3H]TXL was five times greater when administered as PG-TXL than as TXL formulated in Cremophor EL/alcohol vehicle. Furthermore, concentrations of free paclitaxel released from PG-[3H]TXL remained relatively constant in tumor tissue, being 489, 949 and 552 ng/g tumor tissue at 5, 48 and 144 h after dosing, respectively. Autoradiographic images of mice injected with PG-[3H]TXL revealed that radioactivity was primarily located in the periphery of the tumor on day 1 after drug administration and was homogeneously diffused into the center of the tumor by day 6. Over the 144-h study period, [3H]TXL concentrations, predominantly as the inactive conjugate, were higher in tissues with a more abundant reticular endothelial system (i.e. liver, kidney, spleen, lung) than in tissues with less abundant or lacking RE systems (i.e. muscle, fat, brain). 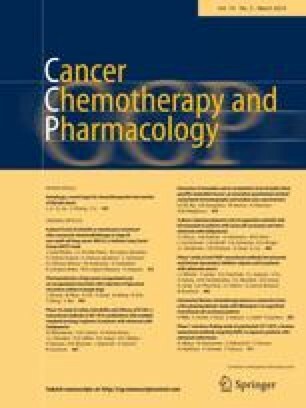 Both [3H]TXL and PG-[3H]TXL were excreted primarily through the hepatobiliary route, with a small fraction of each drug (5% and 8.7%, respectively) excreted into the urine within 48 h. Conclusions: This study indicates that the distribution to tumor tissue was enhanced when [3H]TXL was administered as a macromolecular conjugate, and that free TXL was released and maintained within the tumor for a prolonged period. Thus, the antitumor activity of PG-TXL observed in preclinical studies may be attributed in part to enhanced tumor uptake of PG-TXL.